all songs written and co-written by Mitchell Tenpenny. 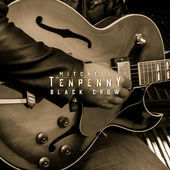 * "Black Crow" written by Mitchell Tenpenny and Brad Clawson. One of Nashville’s top emerging singer / songwriters, Mitchell Tenpenny has just completed his debut album set for release in early 2015 and includes eleven songs written and co-written by Mitchell. The first single is “Black Crow” and it included some cool musicians playing on it. “This is my favorite song on the album by far. It was a blast to have Ace Frehley from KISS and Brian Welch from Korn playing guitar on this cut,” Mitchell enthused.